I love giving out magic items. I think it’s because I remember how I felt getting them as a player. The excitement of unlocking the power of something hidden in an ancient temple for hundreds of years is like no other. The story and history of a sword or helm or belt could be awe-inspiring and terrifying. As a player my magic items are like pets to me. As a DM I look forward to designing and handing out these rewards or rolling on a random magic item table and seeing what might come up. 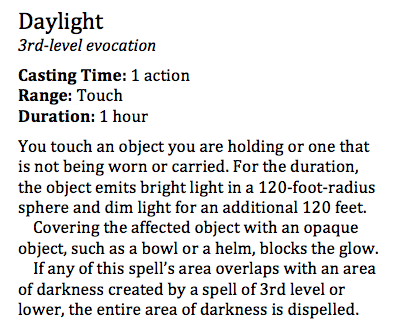 This is about a quarter of the magic items needed for a PC in fourth edition to survive to level 30. In the third and fourth editions of Dungeons and Dragons magic items became exhausting. Just look at this article from James Wyatt’s wandering monsters column. It discusses the number of items a DM was expected to fork over in order to make the game math work correctly in earlier editions of D&D. 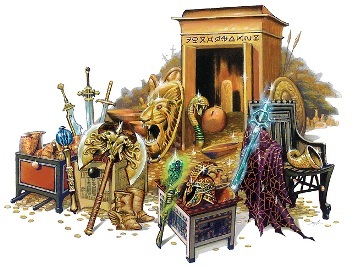 In fourth edition it was encouraged by the rulebooks that players give DMs wish lists of the items they wanted because there were so many from which to choose. DMs were happy to hand them over because there were literally several thousand items in the character builder alone. 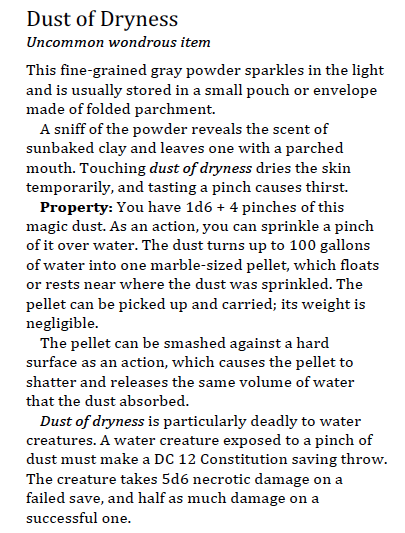 Creating a customized magic item took a lot of time since DMs wanted to make sure all the math worked out. It was a lot of work to just give out items to keep the math correct and making your own balanced items was even tougher. Not to mention at higher levels character already have enough options in combat to make even the most experienced player’s head spin… and magic items just added to the confusion and slowed things down. Now don’t get me wrong, I LOVE third AND fourth edition. I just think they were flawed when it came to magic items. An excerpt from the Bounded Accuracy article linked below. Well no more in D&D Next! Thanks to the bounded accuracy system, a PC needs no magic items in order for the math to work out properly. Magic items are back to being special again, baby! I can give as many or as few as I please and the magic items will feel unique and special. Not to mention a magic item received at first level is just as relevant at twentieth, so I don’t have to stock magic weapons stores with +3 swords because a PC’s +2 sword isn’t strong enough to make the math work at his or her current level. I don’t even need magic item stores at all! Rather than spend their gold on more magic items they need to survive, my players can get creative and spend their hard-earned graverobbings on building castles, researching new spells, starting guilds, or any other crazy thing they dream. Any permanent magic item in Exploration Age requires a gem to hold and focus its magic. So all magic items have at least one gem affixed to them somewhere. More powerful items may have larger and/or more gems required in order to be created. This accomplishes a few things which help make magic items in Exploration Age feel unique and special. Adventurers and others have a good guideline for figuring out if an item is magic before casting the usual detection and identification spells. Gems can be affixed to nonmagical objects in order to deceive and give the appearance of magic where there is none. While adventuring in Exploration Age finding gems is more exciting than in a typical D&D game. Finding a gem usually meant turning around and immediately selling it for gold back in town (large diamonds were sometimes saved for raise dead rituals). These economic interactions can be fun to role-play… the first 20 times. It gets a bit old and the players have to keep track of how many gems they find and how large they are. Eventually most DMs just give gold to cut out the middleman. Well now finding a gem means something more! They can be saved and used to craft magic items. In a recent Live D&D Next Q&A with designers Mike Mearls, Rodney Thompson, and Chris Perkins they revealed there will be an optional rules module for magic item creation included in the core rule books for D&D’s next edition. Now unfortunately for me and my designing the details of this module have not been made public. That won’t stop me though. There are a three things I’m willing to assume about the module. It will cost money and resources to create these items. One can’t make something from nothing. It will take significant time to create these items. This is a normally safe assumption reinforced by the fact the that this magic item creation rules module came up while discussing how PCs could spend downtime during an adventure. Magic item creators must meet certain prerequisites in order to create certain items. Those prerequisites could be related to level, class, race, or even alignment. Most important for me is the first assumption. Whatever the R&D team at Wizards of the Coast decides is the right amount of gold to spend to create a magic item, I’m going to say that rather than paying the cost all in gold, half the cost must be paid in gems which are then incorporated into the item’s final design. Don’t mess with this guy. He’s got a lightsaber. On a personal note, might I add I love strange magic items? 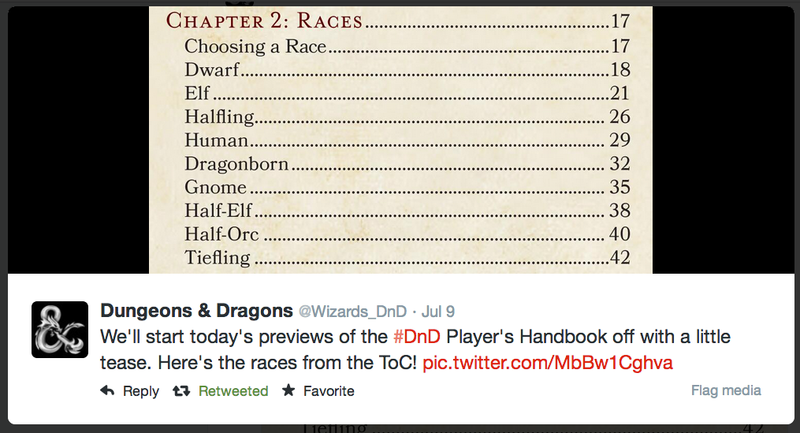 I’m talking about the things that make you laugh or furrow your brow in the Dungeon Master’s Guide of any edition. Take, for example, the dust of dryness. Excerpt from the latest D&D Next playtest packet. Pretty lame when you compare it to magic armor, right? Wrong! You got to think outside the box, my friend! Get creative and use that dust to turn a tavern brawl into a naval battle. Or to threaten a group of desert nomads withholding information by holding the dust over their oasis. Or dry up an underground lake to see the oozes lurking below. Heck, throw it onto one of those oozes and see what happens! Could be nothing. Or you could be carrying and ooze around in your pocket like a Pokemon trainer. That’s a story people at the table will remember forever. Moments like that are why we pour hours of free time into these games. Every item is a chance for unique and creative play. So don’t turn your nose up at the apparatus of Kwalish. You just haven’t thought of how to use it yet. This long iron rod is of aberrant make and has many small mouths carved along its surface. When aberrant creatures are within fifty feet of the rod the mouths all laugh manically in unique individual voices. Long ago aberrant wild mages created these rods to be used by elite skirmishing troops to sew confusion amongst the draconic ranks. These items are abhorred by dragons and many of them have been destroyed. Only a precious few remain in Canus. Property: As an action this rod may target a creature, area, or the wielder who is subject to a random effect (roll on the table below). Aberrant creatures targeted by the rod may choose the effect which targets them. 1 Wielder Creature becomes invisible per the spell. 9 Wielder Wielder is instantly more attractive and has advantage on all Charisma rolls for 1 minute. 10 1 creature within 50 feet A ray of enfeeblement is shot from the rod with a +6 bonus to attack. 11 A 20-foot radius within 100 feet Silence for ten-minutes per the spell. 12 Wielder Gains the benefit of comprehend languages, read magic, and speak with animals for 10 minutes. 15 Wielder Gains the benefit of darkvision for 1 hour. 16 Wielder Immediately knows where all magic items are within 100 feet. 17 Wielder Gains the benefit of the levitate spell for 10 minutes. 20 A 20-foot radius within 100 feet 6d8 HP of creatures put to sleep per the spell. This massive great sword is a copy of the one carried by the dwarf empress goddess, Caramey. The adamantine blade is carved with colorful runes along the flat on either side which name the different levels of the Bragonian caste. When wielded in battle it sings a hymn in dwarven about the power of the empress. It is said Caramey sent a single copy of her weapon to Canus to give to the first dwarven empress to help her lead the rebellion against the shardmind while fighting the dragons. 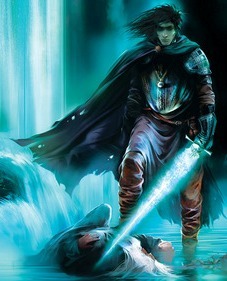 Others believe the sword was actually created by the shardmind themselves and given to a dwarf warrior to aid her in the war against the dragons. Whatever the case this warrior led the charge against both dragons and shardmind. Though she lost the sword in battle, she did become Bragonay’s first empress. Property: The wielder gains a +1 to attack and damage rolls made with this weapon. Creatures with the draconic type feels a strong revulsion to the weapon. If they maintain contact with the weapon for one round, draconic creatures take 3d6 pyschic damage. Property [Attuned]: You must be a dwarf to become attuned to the weapon. The weapon’s bonus to attack and damage rolls increases to +4, and it does an extra 3d10 damage against draconic creatures. While carrying this weapon, the wielder may speak, understand, read, and write draconic. While this weapon is drawn, it sheds bright light in a 15-foot radius. Allies of the wielder and the wielder within the light gain advantage on Will and Dexterity saving throws. 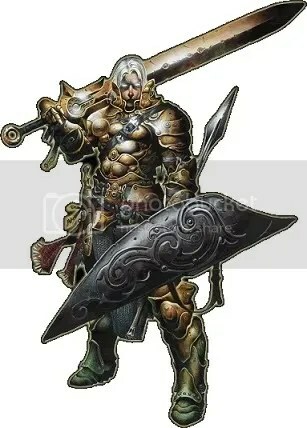 Whenever these allies and the wielder are subject to a Dexterity saving throw to take only half damage from an effect, they instead take no damage on a successful save, half damage if they fail. This fist sized, copper orb constantly appears to have moment just underneath its shiny surface. The cardinal directions are carved into the sphere. Property: When thrown the orb turns into 500 tiny, copper scarab beetles who eat vegetation and snow, making forests, jungles, and snow fields making a small path which is longer difficult terrain. These paths are easily followed and cannot be made through solid rock or large trees. The beetles move in a path defined by the person who threw the orb for 10 hours and then revert back to orb status. They eat only plants and snow. They cannot be used again until a long rest has been completed. While active the beetles can attack plant-based creatures, who are subject to a DC 12 Reflex saving throw or take 2d6 damage.